In an interview to air on NBC's "Today," co-anchor Savannah Guthrie asks Nancy Pelosi, who will become House speaker at around 1:30 p.m. Thursday: "Do you believe the special counsel should honor and observe the Department of Justice guidance that states a sitting president cannot be indicted?" 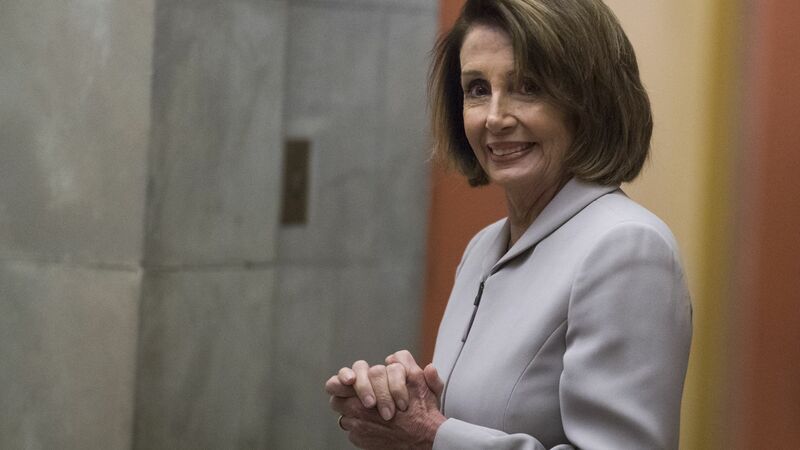 The big picture: Pelosi replied, according to an excerpt from NBC: "No, I mean I don't think — I do not think that that is conclusive. No, I do not." With that response, she becomes the highest ranking official to suggest President Trump could be indicted while in office. Pelosi is ready to rumble, planning to maintain the unyielding posture she took with Trump in their Oval Office standoff before the shutdown. She tells USA Today that Trump is now entering a "different world." "The Democratic majority is largely due to Democrats in Trump-won districts from 2016, so expect a lot of legislation with high approval ratings first in the queue: infrastructure, drug pricing, immigration reform (protections for DREAMers), shoring up the ObamaCare exchanges/protecting pre-existing conditions, gun control, voting rights." "When our new members take the oath, our Congress will be refreshed, and our democracy will be strengthened by the optimism, idealism and patriotism of this transformative freshman class." "We must be pioneers of the future. This Congress must accelerate a future that advances America’s preeminence in the world, and opens up opportunities for all." "[We] will call upon the bold thinking needed to address the disparity of income in America, which is at the root of the crisis of confidence felt by so many Americans." "We must also face the existential threat of our time: the climate crisis." "I pledge that this Congress will be transparent, bipartisan and unifying." "[T]he floor of this House must be America’s Town Hall: where the people will see our debates, and where their voices will be heard and affect our decisions."